Marouane Fellaini has been somewhat of an enigma at Manchester United as of recent. His departure has been on the news for quite a while now, and claims are strong that he will seek a move elsewhere. In a press conference prior to Belgium’s clash against England, he had provided the following update: “I am not worried about my contract running out, I am used to it. The 30-year-old’s deal is scheduled to expire on June 30, and now, there is massive news about his next destination. 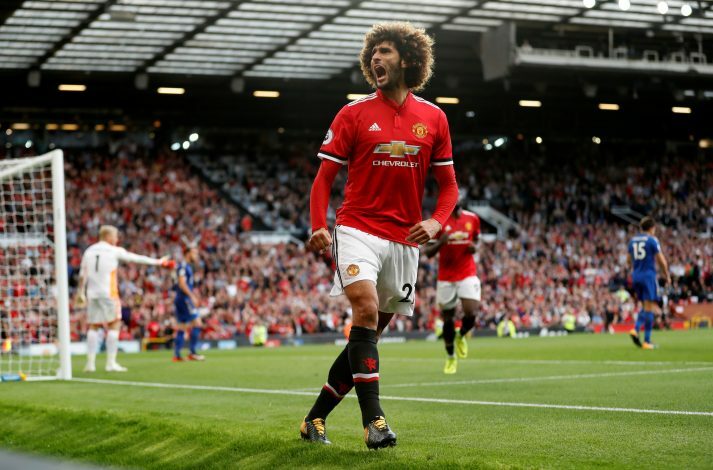 According to RMC and the BBC, Fellaini is on the verge of signing a two-year extension to his contract at Manchester United, keeping him at the club till 2020. PSG, Besiktas, and Arsenal were all believed to have tabled interesting offers prior, but if the Belgian has indeed decided to sign on for the extended period, then perhaps his demands have been met. A better wage package and an assurance of game-time were the previously reported demands of the central midfielder, and Mourinho being a big fan of his style and contributions to the Red Devils may be a big factor in this occurring. Now, it will be interesting to see what role he will play in their midfield, particularly after the signing of Fred. Perhaps this extension will ensure that United won’t have to dip into the market immediately, and may be given the luxury of revisiting their current talents or future prospects down the line. Will Fellaini be the added factor of danger in United’s midfield next season?